On today's blog we look at plastic bag sales in 'big seven' supermarkets down 86% since the 5p charge was introduced, £45 million additional funding to boost rural broadband and improving air quality. Plastic bag sales in England’s ‘big seven’ supermarkets have dropped by 86% since the Government introduced its 5p plastic bag charge in 2015, helping to tackle the devastating impact of plastic waste on our environment. New figures published today (Friday) reveal customers of the country’s biggest supermarkets bought nearly a quarter fewer plastic bags last year compared to 2016/17 - a decrease of nearly 300 million bags. This is equivalent to just 19 bags per person in England, compared to 140 bags since the government introduced a 5p charge in 2015 – a dramatic reduction of 86%. These figures demonstrate the collective impact we can make to help the environment by making simple changes to our daily routines. We want businesses to continue to look at what they can do to help improve our environment to leave it in a better state than we found it. Every plastic bag not purchased is one which will not end up in our sea, damaging habitats or harming marine life. Since efforts from across Europe came into effect, including the UK’s 5p charge, we have observed a sharp decline in the percentage of plastic bags captured by fishing nets on our trawl surveys of the seafloor around the UK as compared to 2010. It is encouraging to see the efforts to reduce plastic bag usage by all of society, whether the public, industry, NGOs or government. These figures show that by working together we can tackle the marine litter problem by reducing, reusing and recycling. The UK continues to be a global leader in protecting our seas, oceans and marine life. 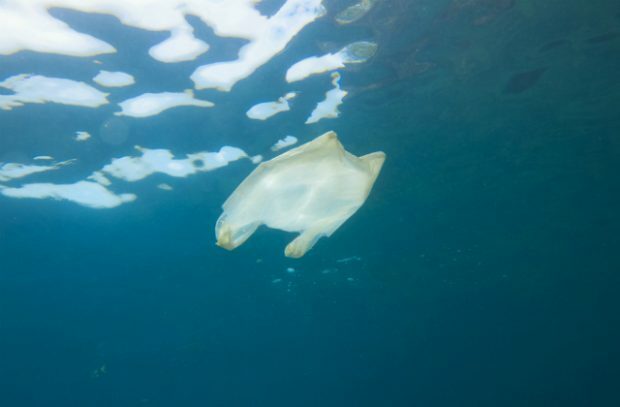 The Government has recently announced a range of measures to eliminate all avoidable plastic waste including a world-leading ban on microbeads and proposals to extend the 5p plastic bag charge and explore plastic free aisles in supermarkets. Earlier this year we announced our intention to ban the sale of plastic straws, stirrers and cotton buds [link], plans for a deposit return scheme to increase recycling rates of drinks bottles and cans, and launched a call for evidence on using the tax system or charges to address single-use plastic waste. Rural Affairs Minister Lord Gardiner announced yesterday that rural areas across England will receive additional funding to improve broadband access. The extra £45 million funding will be accessible through the Rural Broadband Infrastructure Scheme which – combined with the £30 million announced last year – creates a total pot of £75 million. The money will be made available through grants to local authorities who have already applied for funding, in areas where broadband services at speeds of 30Mbps or faster are not available or planned. During a visit to North York Moors National Park, Lord Gardiner also announced yesterday that North Yorkshire is one of the local authorities to receive funding through the scheme with a grant offer of over £11 million. Cambridgeshire, Dorset, Essex, Herefordshire & Gloucestershire, Oxfordshire and Worcestershire have also all been granted funding. A number of regional outlets including the Yorkshire Post, Northern Echo and Farming UK have covered the announcement, with Lord Gardiner also speaking live on BBC Radio Tees this morning. I am delighted to announce today that North Yorkshire has been awarded a grant of £11million towards improving its broadband infrastructure. Rural areas should not be left behind in the connectivity slow lane, missing out on the opportunities high speed broadband can bring. The funding made available through the Rural Broadband Infrastructure Scheme champions our countryside communities and businesses by opening up access to broadband of at least 30 Megabits per second, in some of the most hard to reach areas. Today saw the launch of the Environment Agency’s latest ‘state of the environment’ reports, this time on air quality, as well as Defra’s new advice for farmers to help them reduce emissions. The EA report reveals that, unlike other main air pollutants, emissions of ammonia have increased since 2013 and this rise is responsible for damaging wildlife and habitats. The majority of UK ammonia emissions come from the agricultural sector as a result of activities such as fertiliser use and slurry storage. So the Environment Agency is calling on farmers to take urgent action by changing land management practices and becoming more nitrogen efficient. Particulate matter (PM10) has reduced by 73%. These emissions come from a range of sources including vehicles emissions and industrial processes. 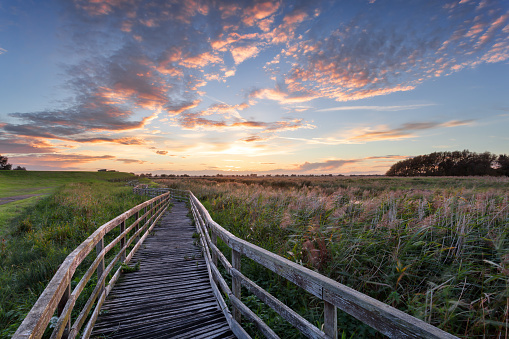 By working with the industries, the Environment Agency has helped to contribute to these reductions and will continue to do so through future regulation. Urgent action is needed if we are going to tackle the hidden blight of ammonia emissions. These emissions are having a detrimental impact on the environment, precious habitats and wildlife. As custodians of the land, farmers must take the lead by changing their land management practices. More broadly, poor air quality is bad for the environment but also people’s health and wellbeing. This report also shows the need to tackle the high levels of nitrogen dioxide, ozone, and particulate matter that persist in certain areas. Improvement to air quality is going to require action from nations, government at a national and local level, organisations, and communities – but just as importantly – individuals. The new Code of Good Agricultural Practice published today will help farmers improve their land management and reduce ammonia emissions. It has been developed by Defra in collaboration with the NFU and a range of other partners. The new voluntary code includes simple measures such as using a nutrient management plan to calculate fertiliser application rates. It also includes more significant changes to slurry storage, spreading equipment and infrastructure, and innovative ways of dealing with slurry. Air pollution is not just an urban issue and with 88% of ammonia emissions coming from farming, the government is taking concerted action. With clear new guidance and financial support we will help farmers across the country to take action, reduce emissions and help improve air quality. The Government has also launched a call for evidence on the impact of emissions from brakes, tyres and road wear in an effort to tackle all sources of pollution. This was covered in Business Green, Air Quality News and Fleet News.